With the Republic Day approaching, we are sure that most of you have been thinking of planning a Republic Day party. If you are still planning or already planned then do check the list below to ensure that there is everything that is required in your party. Even if one ingredient is missing the celebrations of Republic Day is going to be incomplete. In this article we are going to discuss the must haves in awesome Republic Day party. Thoroughly go through the list so that you do not miss out on anything. You must decorate the place where the event is going to take place. As a part of your decoration material it is important that you have posters that carry the Indian flag, slogans by freedom fighters, good republic day quotes etcetera. You can either buy these things from the market or make thee with hand by simply buying the raw material like poster sheets, colours from the market. Flag-hoisting is an integral part of the Republic day celebrations. You need to make all the arrangements for the ceremony. The senior members can be honoured with the opportunity to hoist the flag. In the absence of the same, your event will remain incomplete. We take it for granted that all are fluent with national anthem but there are many who are not. You need to ensure that all the young children are well versed with the national anthem so that the enthusiasm gets doubled. India is a country that houses diverse cultures and religions. This is one opportunity where you can organize the cultural programs. You can ask the members to prepare different dance forms of folk songs. In the name of culture you can give attention to anything, be it dance, music or poetry, anything that reflects cultural value of the nation. There are many people in the society that are active towards diverse cause. This is one occasion and an opportunity that you get to reward their efforts. You can reward people who ensure cleanliness in the society, those who look after your safety. A lot of people in your society might be associated with some programmes that are meant for general well-being. Take the opportunity and appreciate the efforts of such people. They will not only feel honoured but will feel more energetic and carry on with the efforts that they make. This will also act as an inspiration for others and they might head towards such activities too. Any event especially if it is a national event is incomplete without games and sporting events. You can refer to the republic day games ideas and include some of the games in the republic day celebrations to make it more fun. India is an agrarian economy and food tends to be an important part of every celebration. 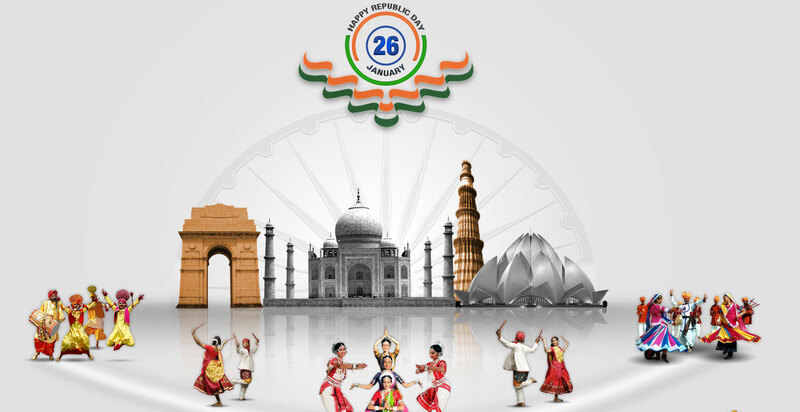 On the occasion of Republic day celebrations as well you need to arrange for good variety of food. as the major idea behind this celebration is to enhance the interaction among the society members and strengthen the bond of love, therefore it is important that you add dishes and desserts that represents different states especially the sates to which members of the society belong. All in all, these are the must haves in awesome Republic Day party. These ingredients together make the celebrations complete and grand. While preparing for the party you need to ensure that you include each and everything and be very specific about the type. In case you think there must be more things then you can drop the name of those in the comment box below.